Gabrielle Roth has been called the high priestess of trance, rave goddess, aural harlot, rock 'n' roll shaman and simply, the only American woman creating authentic ambient-tribal music. 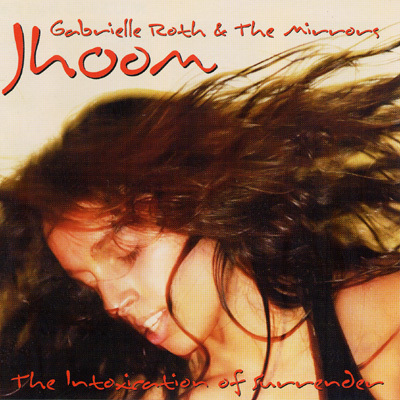 JHOOM is the 17th album she together with her husband and co-producer Robert Ansell have released over the past 25 years with their ensemble: Gabrielle Roth & The Mirrors. This is a smoking collection of tripped-out tribal rhythms that send you into a state of trance ecstasy. JHOOM is a hypnotic blend of drums, bass, strings and female chants, an adrenaline rush and a whirl of electrifying tribal grooves that will awaken the spiritual hunger within you, while keeping your feet in constant motion. Featuring Allison Cornell and Chloe Goodchild.